Coming with 5 reels and 20 pay lines, this new video slots online may give you a happy ending, what with its fantasy fairytale theme. 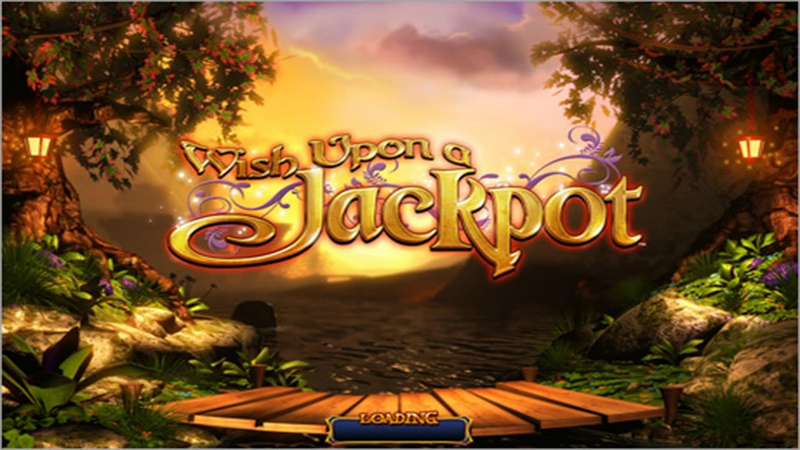 Wish Upon A Jackpot will have you do just that, offering a jackpot of 1000 times your stake. 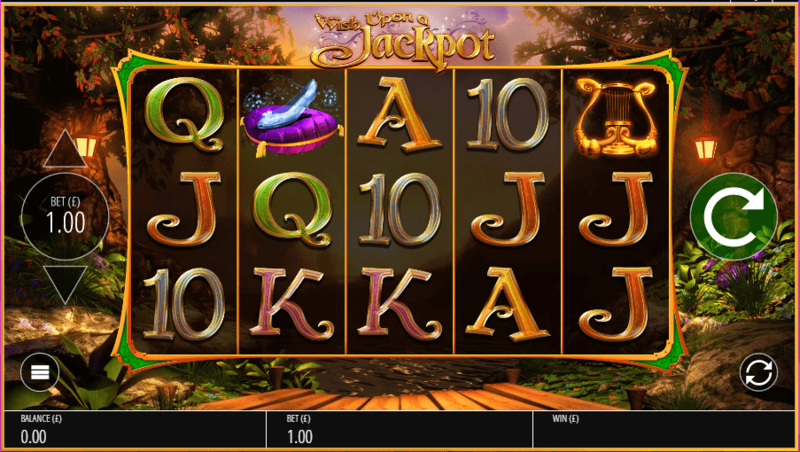 To earn the jackpot, you are equipped with the opportunity to play some exciting bonus features. Find other games like Wish Upon A Jackpot. Blueprint Gaming is the developers if this game and they have certainly done their fairytale research for this one and it has paid off. Their quirky graphics portray the characters really well and furthermore, the bonus features relative to each of these protagonists is a smart way to get lots of features into a game. All of this happens whilst sticking to the original narrative and this is a testament to Blueprint. For another title from this developer, the likes of Mars Attacks is worth checking out if you want to continue to play video slot game UK. With the fairytale theme, graphics are well done and have an old-timey feel with a cartooniness, too. An enchanted forest plays the role of the backdrop and this is brought to life well thanks to those same well-crafted animations. Are you all set to start your adventure when you play one of the top-rated UK slots? A whole bunch of different characters from various fairytales are involved with the likes of a big bad wolf, 3 little pigs, a gingerbread man and Prince Charming knocking about the 5 reels here. With all these characters all thrown together, you could argue that Wish Upon A Jackpot takes a lot of inspiration from the animated classic movie, Shrek. The Fairy Godmother in this game, though, isn’t the evil nemesis that she is conveyed as in the Shrek films, though. Rather, she brings nothing but joy with her ability to randomly influence your reels with a wave of her magic wand. As for other features, there are Pinocchio Wilds which have the ability to turn a reel position wild, offering a new payout which takes the new placement into consideration. Meanwhile, the Puss in Wilds will turn symbols either side of it wild. Also, The Fairy Win Spin guarantees you a big win to celebrate and the Bonus Award will trigger 1 of the 4 main feature rounds. Finally, extra bonuses are in the form of the 3 Little Pigs Free Spins Bonus, the Rapunzel Free Spins, The Jack and the Beanstalk feature is a 2-part cash trail and Rumpelstiltskin’s Deal Maker Bonus, as your fairytale favourites get involved. Each of these bonuses have some relation to the famous story of which they play a part in, making for a smart narrative. This is a really clever game that ties together all of your fairytale favourites for one very well created online slot game.